Home » Ecommerce » VConnect Totori Sales - Grab the Biggest and Sweetest Discounts of this Festive Season! VConnect Totori Sales - Grab the Biggest and Sweetest Discounts of this Festive Season! The sweetest thing to happen this period of the year is about to reach your doorsteps. The Festive Season of Christmas and New Year is here again this 2015 and there will be lots of sharing, giving and exchange of gifts. There will be celebrations and happy moments and VConnect Nigeria is proud to join you in partaking in all the joy and love you will have this season by presenting you with the best items that will make it the most exciting and unforgettable moment for you in the Vconnect Totori Sales, the sweetest shopping spree that will feature the best products with the most amazing discounts up to 50-70% OFF in Nigeria. 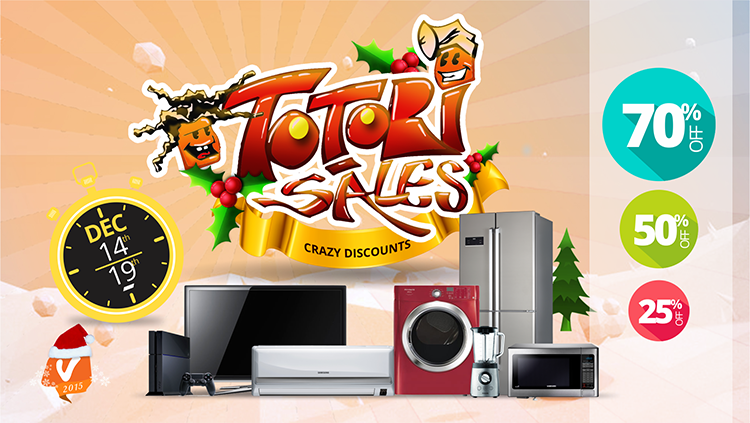 From 14th - 19th f December 2015, lots of items for the festive season will be available for you to choose from in the Vconnect Totori Sales, nobody will be left out of the sales event as there will be something for every category of person to choose from; like Phones, TVs, washing machines, cookers, refrigerators, and many more personal, home and kitchen items and appliances that will suit your needs. The Panasonic SC- SC-XH333GS-K home theatre is a classical sound system that features a total of 6 elegant speakers which produces quality powered sounds. - Supports Bluetooth technology, so you can wireless play music from your phone or any device easily. - The Dynamic Bass is all about elegant Speaker designs with a 5.1ch surround sound with 5 speakers placed in the front. Even with space limitation, 5.1ch surround sound can be enjoyed with selectable speaker layout. - The system comes with both USB and HDMI ports which produces upto 1080p and supports even Flash, Mov videos and other video extensions. This is the sound system that is very flexible and comfortable to enjoy in your living room, no matter the size. 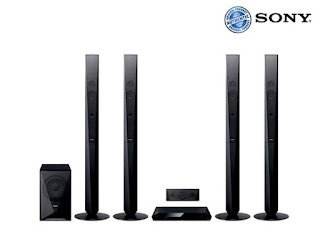 Lovers of Sony products will surely find happiness in the Sony DVD Home Theatre DAV-DZ650 System. The System features stylish quartz design, one medium speaker, two slim standing speakers and two small speakers, all with unique sounds that blends so when it goes live through the DVD player it transforms your home to the beautiful entertainment scene that you had always wanted. The Sony DVD Home Cinema System 600W DAV-TZ715 system is built to produce state of the art entertainment in your home. 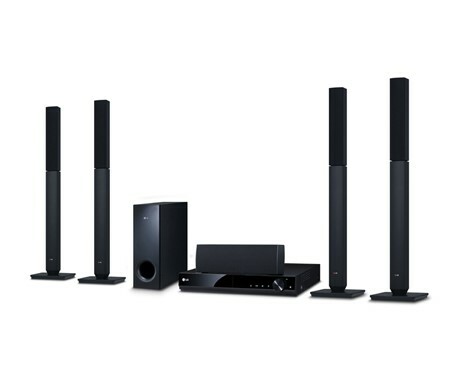 The system comes with 4 standing speakers which users had already testified produces amazing sound. The model is powered by a 600W Power output and is ever ready to give you the best entertainment in your living rooms at anytime. The DH 4530T 330W DVD Home Theatre which comes from one the most trusted brands in the industry LG and is fully loaded to take your living room or any of your rooms to the next level of entertainment. Along with the DVD, CD playback, the Home theatre system features very impressive design and sports awesome functionalities like Amplifier with sub-woofer, USB ports, support for DivX and MPEG2 video formats and Bass Blast from the speakers signed by Dolby digital. It also features Karaoke and Recording FM and video via USB dongles for you to play or re-watch at your convenient time later. Television sets which you can use to enjoy any of the Home theatre are also available on Vconnect. These include TV sets from the best brands like Samsung TVs, Panasonic, JVC and LG and they all will be up for grabs at huge discounts this festive season.